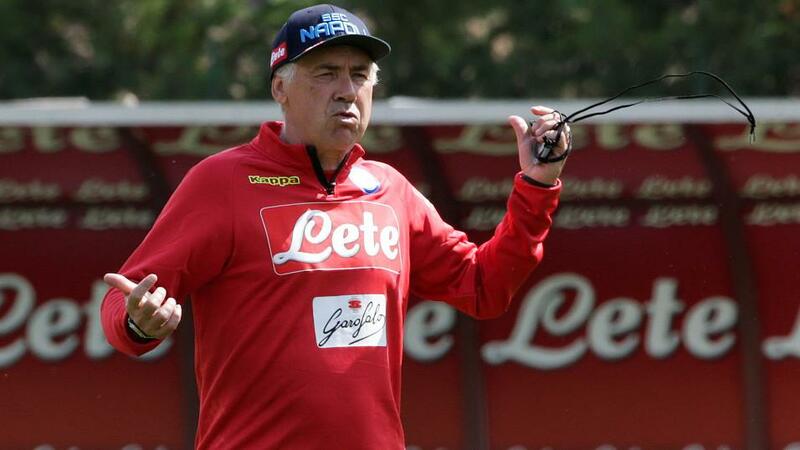 Carlo Ancelotti has a great European record, but can he get Napoli to the final four? "Arsenal's poor away record suggests they will lose in Naples, but they have enough pace and quality on the counter-attack to score." It says a lot for how far Napoli have come as a club in recent seasons that no-one is getting overly excited about them likely finishing second once again. Juventus are 17 points ahead of them, and will once again with the Scudetto, but Napoli have come the closest to challenging them in the last two seasons. Napoli are set for a fourth consecutive top-three finish, and you have to go back to 2010 for the last time they ended up outside the top five, and even then they finished sixth. Given that this is a club that was in Serie B as recently as 2007, and that the club hasn't won a league title since the Diego Maradona-inspired triumph of 1990, such consistency is highly impressive. However, with that consistency comes heightened expectation, and if Napoli crash out of the Europa League at the quarter-final stage it will be seen as a blow. Carlo Ancelotti's side underperformed in the first half at the Emirates, and then failed to take their chances when they came. Ancelotti felt his side had been taken by surprise in north London, as Arsenal played with incredible intensity in the opening exchanges. The Napoli boss has suggested he may somehow pack Dries Mertens, Lorenzo Insigne and Arkadiusz Milik into the same team, as Napoli chase a way back into the tie. Raul Albiol and Amadou Diawara are still sidelined by injury. As much as the Arsene Wenger era at Arsenal must be respected as a monumental, transformation body of work, there's no question that Unai Emery inherited some bad habits when he replaced the Frenchman at the helm. The Gunners were underperforming on the road all too often, and were prone to defensive lapses. Emery is on course for an impressive first campaign in north London. 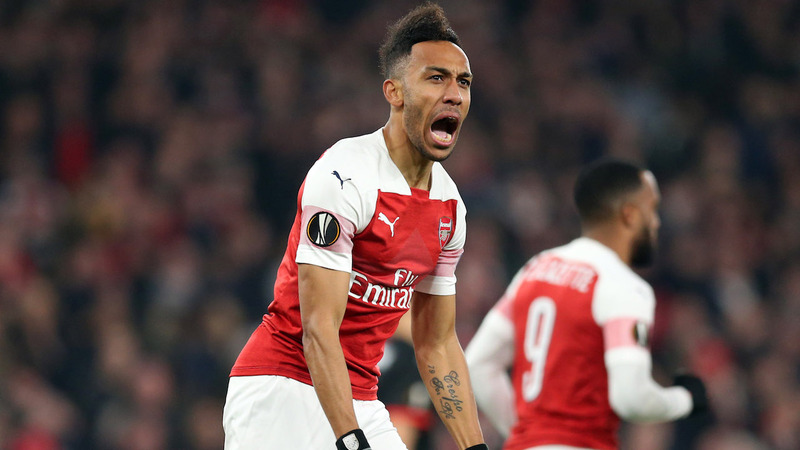 Arsenal are still very much in the mix for a top-four finish, and an excellent 2-0 win over Napoli has put them in pole position to reach the Europa League semi-finals for the second season running. Some of the football they played in the first half last weekend was breathtaking. Pierre-Emerick Aubameyang continues to catch the eye in attack, and he has scored five goals in his last nine matches. Aaron Ramsey's farewell tour (he'll join Juventus in the summer) seems to be pushing him to excel, and the combative Lucas Torreira is a dynamo in midfield who has impressed the fans with his attitude. This trip to southern Italy is a huge test of character, and it will tell us a lot about the work Emery has done to improve Arsenal's mental strength and game management. Their road record is patchy to say the least - they have lost five of their last eight away games in all competitions, and their only away wins since the start of December were at third-tier Blackpool, at rock-bottom Huddersfield in the Premier League and against a Watford team that played almost all of the game with ten men. Granit Xhaka is likely to be back from injury, and his return could see Mesut Ozil jettisoned in a game where the Gunners will look to contain the Napoli attack. Napoli to win the game, but will it be enough? I think Napoli have the quality to win the second leg, and they showed by thrashing a very good Salzburg team 3-0 in the previous round that they can take teams apart at the San Paolo. Napoli have won ten of their last 13 home matches in all competitions, and they have scored at least twice in nine of those wins. The problem they have is keeping Arsenal out at the other end, because if the Gunners grab a precious away goal, then suddenly they need to score at least four times to progress. It's worth noting that Arsenal have scored in ten of their last eleven games. I'll go for Napoli to win and both teams to score on the Sportsbook at 21/10. Lorenzo Insigne really should have scored in the first leg, and got into some great positions. He's 13/8 on the Betfair Sportsbook to score in 90 minutes. Arkadiusz Milik scored in both legs against Salzburg, and is 11/10 to score. If you fancy Aubameyang's pace to be well utilised on the break, he's worth considering at a hefty 9/5. Play our Play Smart quiz; can you find all 30 Arsenal players below?